Increasingly, there is a need for managers operating in the complex and dynamic health care environment to better understand the competitive nature of the health care industry and the opportunities that potentially exist within it. 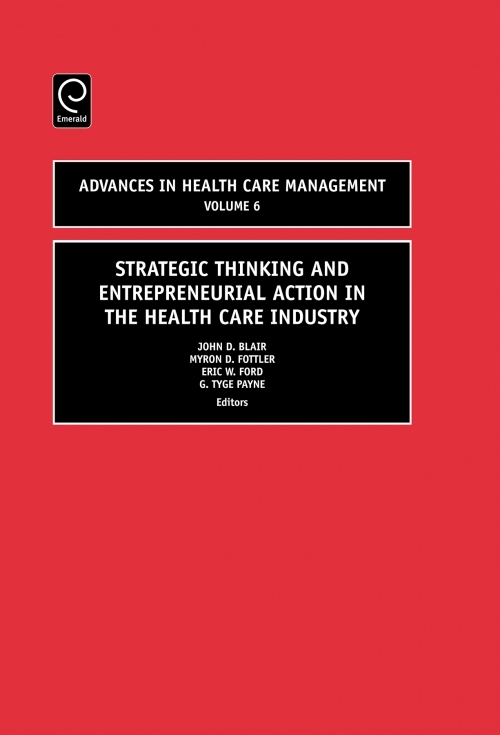 In response, this sixth volume of "Advances in Health Care Management" is dedicated to strategic thinking and entrepreneurial action in the health care industry. As implied in the title, this volume of eleven independent chapters is arranged in four sections. 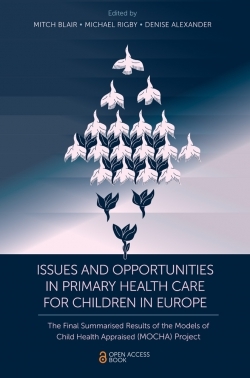 The first section is composed of three chapters, focusing on the health care industry itself. 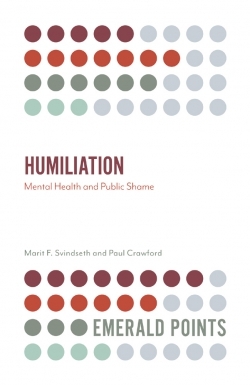 The first of these serves as an introduction for this volume, with the other two chapters taking an historical and futuristic perspective of the health care industry, respectively. These two chapters serve as solid contextual reference points for which we can position the remaining manuscripts. 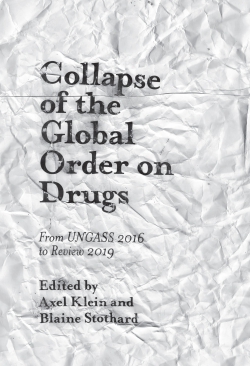 The second section contains two chapters that more explicitly examine strategic issues within a specified health care context. 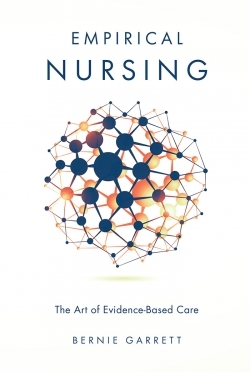 The first of these examines strategy and structure fit in a large sample of physician organizations, while the latter studies a single, large medical center to demonstrate the impact culture and human capital have on strategic outcomes. Four chapters make up the third section, which focuses on innovation and entrepreneurship. 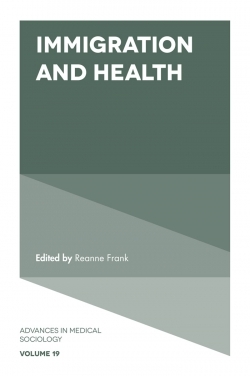 The first two chapters in this section focus on the processes of entrepreneurship in the health care environment, with both the similarities and dissimilarities between the health care industry and other contexts being discussed. The latter two chapters of the third section, on the other hand, principally demonstrate the activities and implications associated with entrepreneurship, or the lack thereof. 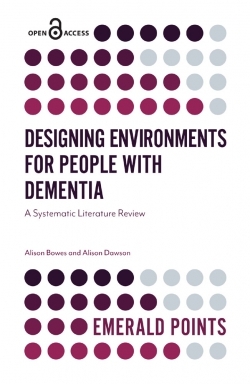 Finally, the fourth section contains two chapters that integrate both strategic and entrepreneurial perspectives. One of these chapters creates a typology of new biotechnology ventures; the focus in this chapter is on how such firms exploit opportunities. 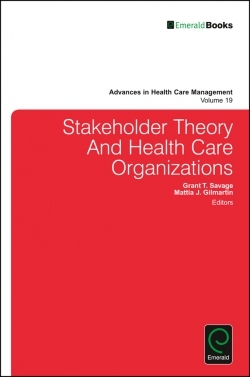 The final chapter, then, examines strategic corporate entrepreneurship by comprehensively studying one major organization's entry into the health care services marketplace. 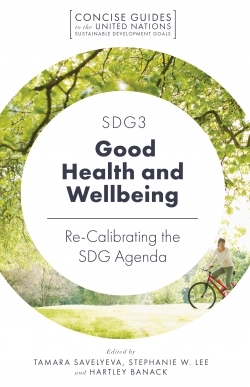 Collectively, these multi-faceted chapters help to recognize and address the often elusive phenomenon of successful strategic choice over environmental determinism, which is aided by quality strategic thinking and decisive entrepreneurial actions. 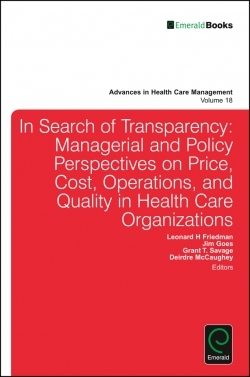 In summary, these chapters help to emphasize the importance of these issues to the health care industry and the managers operating within it. 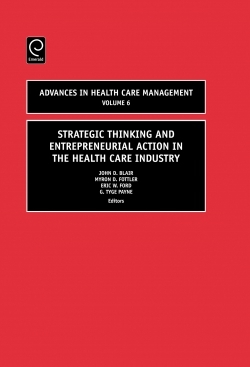 It examines the health care and hospital industries and their relation to entrepreneurial action and strategy. 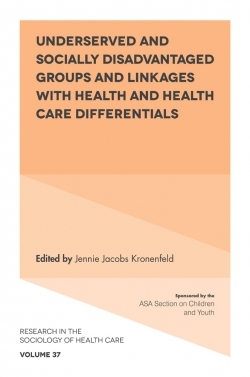 It provides 11 valuable chapters for scholars and researchers in sociology and healthcare.